So we've had the first day of fall... and before long, you will start to see evident signs that the holidays are around the corner (if not already). For me, it also means I should start looking through some of my stashed ideas for holiday gifts so I can get a head start. If you want a quick and easy way to get gifts crossed off your list, make friends and family something they will enjoy.... like Limoncello! Organic lemons - I advise using organic lemons because it they don't have the same waxy exterior that non-organic lemons do. This is particular important because the essence of lemon peels is critical in making limoncello. We want to avoid any additional chemicals/additives (aka wax) to make it. The lemons are peeled solely for the lemon peel, which contains oils and flavors that will be infused in alcohol. You don't want to include any pith, the white layer below the lemon peel, because it's bitter and won't add anything good to the limoncello. 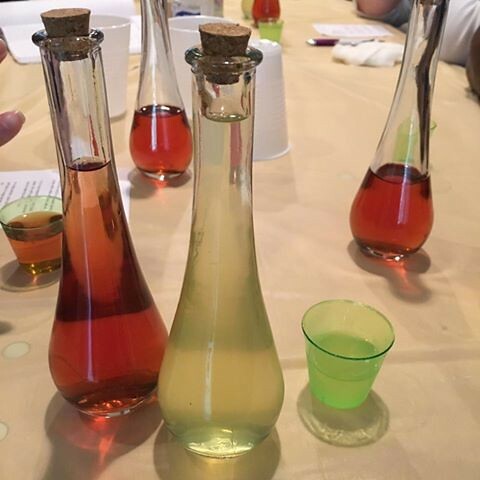 Alcohol - Vodka is the alcohol of choice in making limoncello. You will want a vodka that is of high quality because it makes up the liqueur. 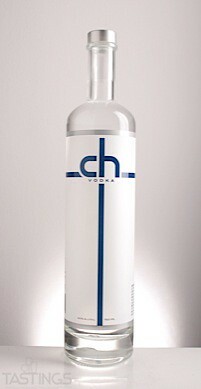 My vodka of choice is CH Distillery Vodka, a local brand from Chicago. It's clean, smooth and pure, perfect as is or used in creating other cocktails.... which is exactly what you want! Check out CH Distillery Vodka's upcoming events if you're in the area. Sugar - Technically, it's not just sugar but really simple syrup made from sugar and water. This will add the sweetness to cut through the vodka and lemon. How much you use is dependent on sweet you want your limoncello to be. Although the recipe below is for limoncello, you can certainly use other fruits in place of lemons. Try grapefruit, limes or even sour cherries - used to make the "cherry-cello" above! Place your peels in a large bottle or jar with a tight fitting lid that's able to hold more than 750-ml. Alternatively, you can use smaller bottles or jars to use up the vodka. Pour the vodka over the peels to infuse. Once covered in vodka, seal bottle or jar and store it in a cool and dark place for two weeks up to 2 months. The longer it infuses, the more pronounced the lemon flavor will become. Using a funnel, carefully transfer the vodka into decorative bottles or jars for gift-giving, leaving the peels behind. Fill the bottles or jars about 2/3 of the way full. Fill the bottles with simple sugar and seal. Chill in the fridge or freezer for at least 4 hours or overnight before drinking. And they can be kept in the freezer for up to a year.